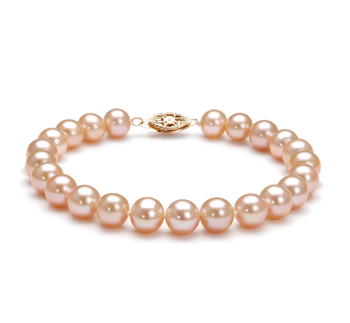 Pink pearl bracelets are delicate pieces of jewellery that subtly enhance any woman’s beauty. When worn on their own the symbolize the understated beauty of all women. Please let us help you to decide what style of bracelet to choose. 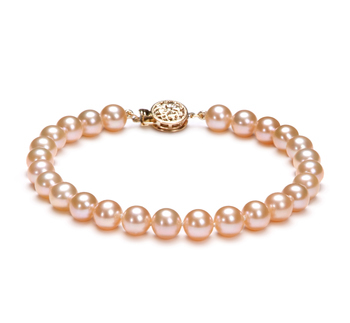 Pink pearl bracelets will add a touch of sophistication to any outfit you have. This short guide will help you to better understand what style is going to suit you. This very minimalistic piece of jewellery provides you with the easiest way of including pearls into your wardrobe. One of our 6-7mm Freshwater cultured pink pearl bracelets is perfect for wearing with your more casual relaxed outfits. Whereas our bracelets that contain larger pearls would look just as good when worn with an outfit to a business or semi-formal event. 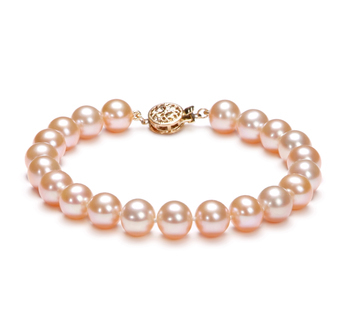 Double strand pink pearl bracelets look very elegant and distinguished. These are the perfect accessories for wearing on special occasions. 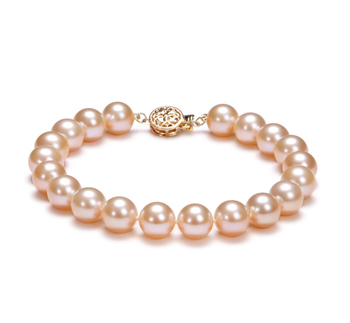 This is the type of jewellery that you can pair with pieces of pearl jewellery that match. When it comes to deciding on the color of the pink pearl bracelet you want to buy you need to take into consideration the color of your complexion. You also need to think about the kind of event that you plan to wear your bracelet to. 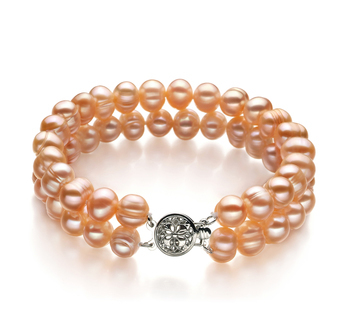 Opt for pink pearl bracelets that are made up of just one color of pearls that come with cool undertones. This is the perfect type of bracelet that can be worn when you go to work or when attending a semi-formal event. Choose ones that come with a yellow gold or silver clasp, as this will help to accentuate the beautiful colors within the bracelet even more. Such bracelets will allow you to really express your personality more. 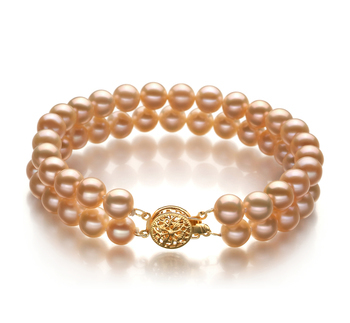 By deciding to go with one that has different color pearls within the design will look fabulously when you are out and about. Team such pink pearl bracelets with a simple black or white t-shirt, jeans and a pair of ballet flats or sneakers. 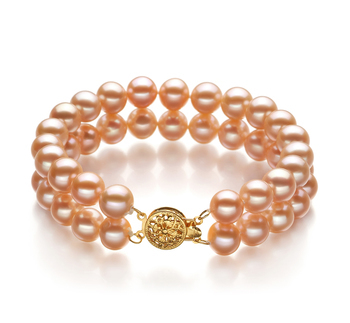 Each style of pink pearl bracelets in our collection will add a touch of elegance to any outfit in your wardrobe. Don’t be afraid to try different ways of wearing your bracelet once you have it. Also don’t be afraid to team yours with some more unusual outfits or accessories. 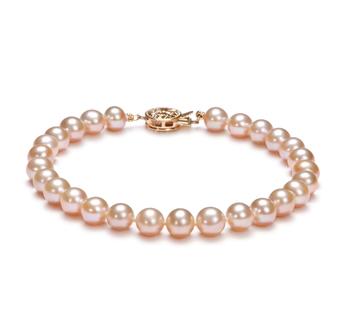 Why not team up your pink pearl bracelet with a stunning cream off the shoulder dress for a night out or with a gold top and dark trousers when you go to a Christmas or New Years Eve party. Whatever you choose to pair such jewellery with will certainly look fabulous and will make you feel like a million dollars, but for a fraction of the price.